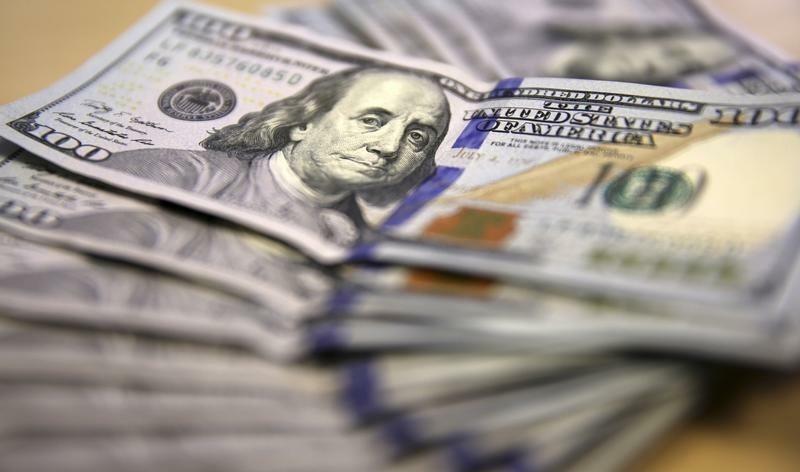 WASHINGTON (Reuters) - U.S. business investment spending plans fell for a sixth straight month in February, likely weighed down by a strong dollar and weak global demand, leading economists to further lower their first-quarter growth estimates. The Commerce Department's durable goods report on Wednesday was the latest data to suggest economic growth braked sharply early in the year, in part due to bad weather and a now-settled labor dispute at the country's busy West Coast ports. While economists largely view the slowdown in activity as temporary, softer growth could prompt the Federal Reserve to delay raising interest rates until later in the year. "Today's report provides strong evidence that the manufacturing sector is feeling some considerable heat from the stronger dollar," said Anthony Karydakis, chief economic strategist at Miller Tabak in New York. The Commerce Department said non-defense capital goods orders excluding aircraft, a closely watched proxy for business spending plans, dropped 1.4 percent last month after a downwardly revised 0.1 percent dip in January. The so-called core capital goods orders were previously reported to have increased 0.5 percent in January. They last rose in August. The dollar fell against a basket of currencies on the dour report, while U.S. stocks were trading lower. Prices for U.S. Treasury debt were marginally weaker. Business spending on capital goods has been hurt by a strong dollar, which has cut into the overseas profits of multinational companies. Lower crude prices also have acted as a drag, forcing oil firms to either delay or cut back on investment projects. The dollar has gained about 13.2 percent against the currencies of the main U.S. trading partners since last June on expectations that the Fed will start raising rates this year after keeping its key short-term lending rate near zero since December 2008. Construction and mining equipment maker Caterpillar Inc warned in January that lower oil prices would hurt its business in 2015. Procter & Gamble, the world's largest household products maker, already has said that full-year sales are likely to fall 3 percent to 4 percent because of the dollar. Economists polled by Reuters had forecast core capital goods orders gaining 0.3 percent last month. Shipments of core capital goods, which are used to calculate equipment spending in the government's gross domestic product measurement, rose 0.2 percent last month after slipping by a revised 0.4 percent in January. They were previously reported to have gained 0.1 percent in January. That downward revision, together with a modest rise in inventories, prompted JPMorgan to slash its first-quarter growth estimate by half a percentage point to a 1.5 percent annual rate. Morgan Stanley cut its Q1 GDP forecast to a 0.9 percent rate from 1.2 percent. The Atlanta Federal Reserve Bank's model forecasts a growth pace of only 0.3 percent for this quarter. The economy expanded at a 2.2 percent rate in the fourth quarter. "Overall, given the usual noise in the data, as well as a melange of other special factors, we do not view the 1.5 percent first-quarter tracking as so far below the 2.4 percent average of the current expansion to raise more serious worries," said Michael Feroli, an economist at JPMorgan in New York. With core capital goods orders falling, overall orders for durable goods - items ranging from toasters to aircraft that are meant to last three years or more - fell 1.4 percent last month. Durable goods orders also were hampered by a 3.5 percent plunge in orders for transportation equipment. Durable goods orders increased 2 percent in January. "While we may see improvement in durable orders over the next several months, robust growth is not in the cards given the global economic situation," said Jay Morelock, an economist at FTN Financial in New York. "Weak foreign demand, tough competition from cheaper imports and lower commodity prices will continue to weigh on domestic manufacturers in the foreseeable future." Unfilled orders for durable goods fell for a third straight month in February, while order books for core capital goods dropped 0.3 percent after barely rising in January, suggesting that factory activity would be weak in the months ahead.